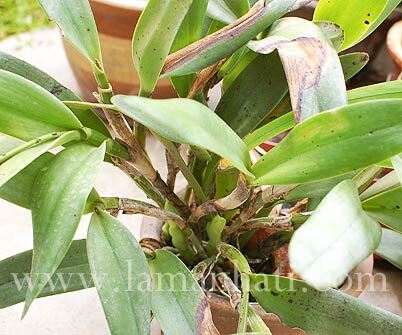 I never know what kind of orchid I grow until it blooms and I want to write about it in this gardening blog. 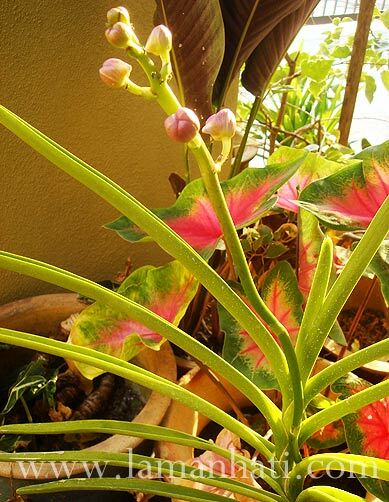 So after searching and reading through a few orchid websites, I am pretty sure that what I have here is a Vanda. 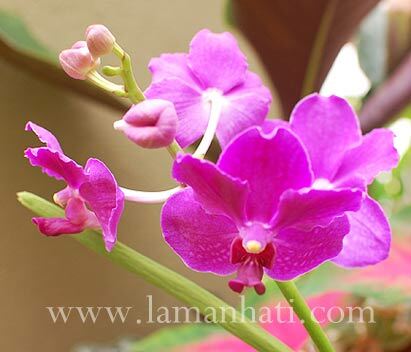 “The genus Vanda contains many species represented by large handsome plants and a wide variety of beauty in the flowers. 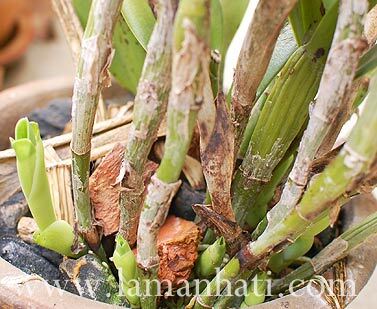 By some growers considered difficult to cultivate, their charm is well worth the supplying of their particular needs and the studying of their habits. 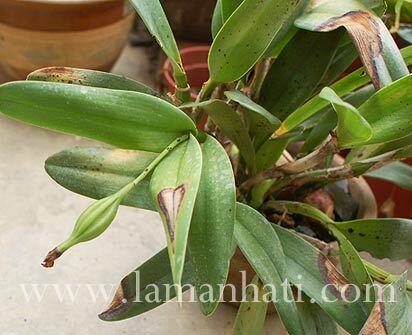 The plants are pseudobulb-less, the leaves distichous (dis-tik-ous), or disposed in two parallel lines along the heavy, erect stem. 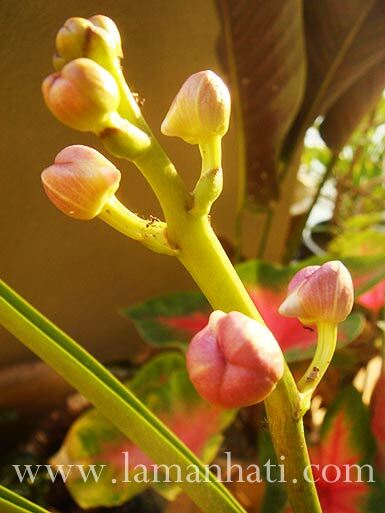 The tendency of the stem is to grow up toward the sun, as the surprised amateur finds when his plant reaches the roof and has no more room to grow. 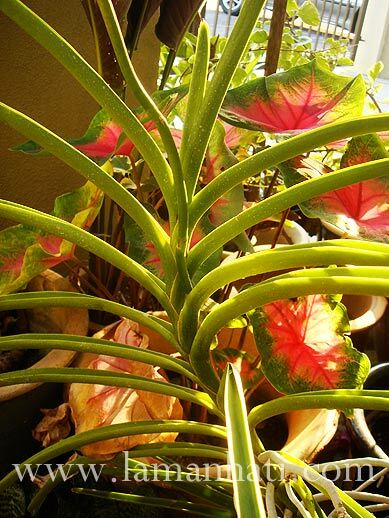 The lower leaves frequently drop off. I think I’ve had this pot of Vanda for more than 2 years now, can’t really remember where do I get it in the first place. 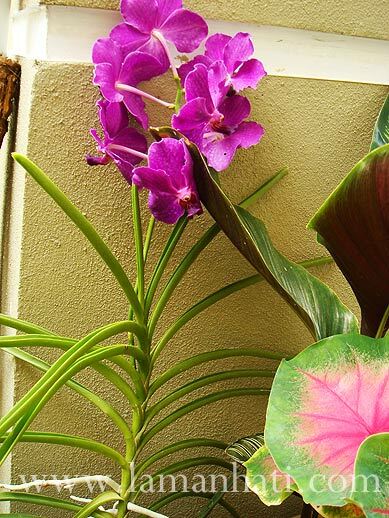 When it comes to vanda orchid care, they are considered sun worshipper. Among the sun-worshipers are the Vandas, natives of India, the Philippines, and some Pacific islands. As of today, I am still able to enjoy the dark purple flowers. Not sure how long the flowers will last, but from what I read, some says it could last for a month or so.